The CPS 1-3-5 may be beaten on by other reviewers as stupid just because it has 5 nozzles. Well, I'm not going to do that. I've looked over the 1-3-5 for a very long time and have decided that overall its really not bad. 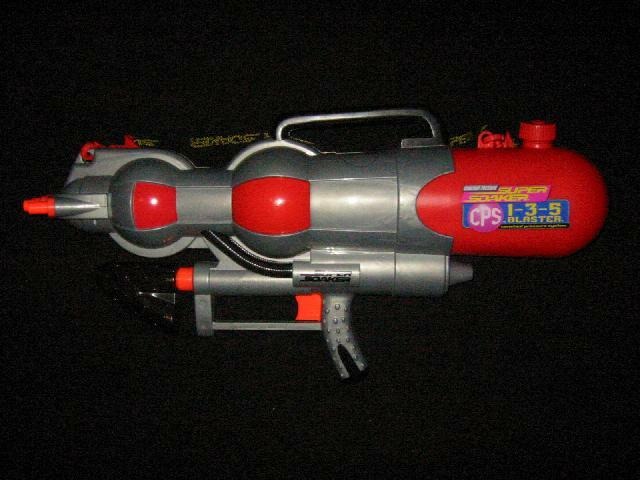 It's a medium-large sized CPS gun, with 5 nozzles fanned out at the end of it. The problems are that the 4 extra nozzles hardly ever become useful, and that all the nozzles are 1x. 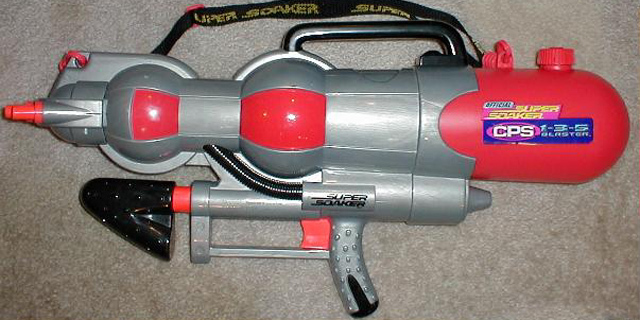 It shoots about 30 feet for about 35 seconds on the 1 nozzle mode. To change from 1 to 3 to 5 nozzles you simply pull the trigger harder. If this gun is used against smaller XPs or Max-Ds, it would probably be able to out-do them because of its range and shot time. Unfortunately, it is outpowered by almost every other CPS gun its size. I would recommend this gun to people who are fighting smaller guns or those people who love to mod. My 1-3-5 has a drilled nozzle (about 7.5x) and it is k-modded. It has a 30 ft. range! And if the check valve was frozen, wow. The only thing is that it's so powerful that only the middle nozzle works. This gun has great potential. So if you don't mind a 1x nozzle or having a few unused nozzles, or if you want a gun to mod, go ahead and pick this up. Otherwise, just forget it.